Hosts Malaysia defeated Bhutan by 67 runs at the Bayuemas Oval in Klang before Nepal followed with an eight-wicket win over Myanmar at the same ground. Thailand overcame China by 10 wickets at the UKM Oval in Bangi. 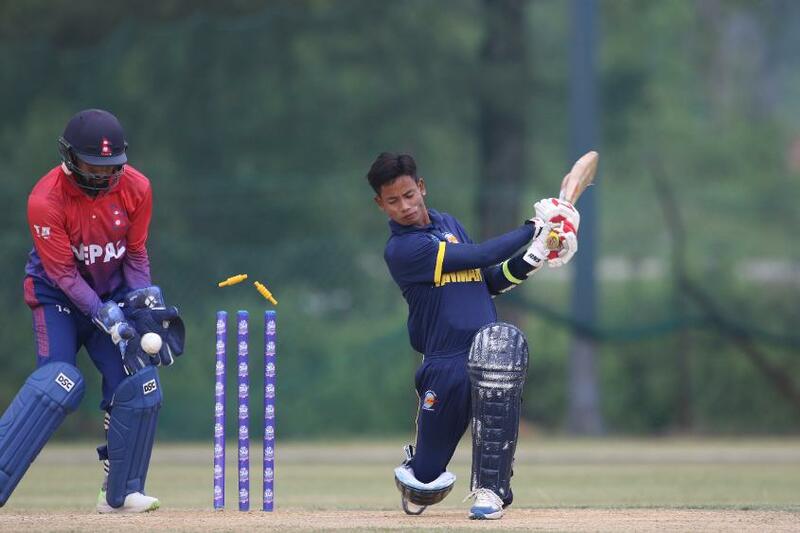 Malaysia survived an early scare against Bhutan after bowler Sanjeevan Raj Gurung achieved the rare feat of claiming a hat-trick although the home team recovered from a precarious position to post 154/6 in 20 overs. 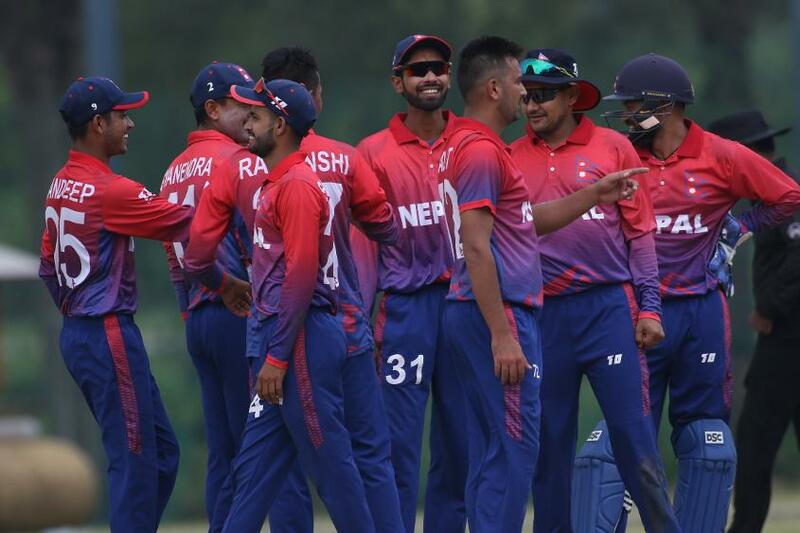 Gurung left the hosts stunned at 12/3 inside three overs after dismissing Syed Aziz Syed Mubarak for five before having fellow opener Shafiq Sharif (six) and captain Ahmad Faiz Mohammed Noor trapped leg-before with successive deliveries. 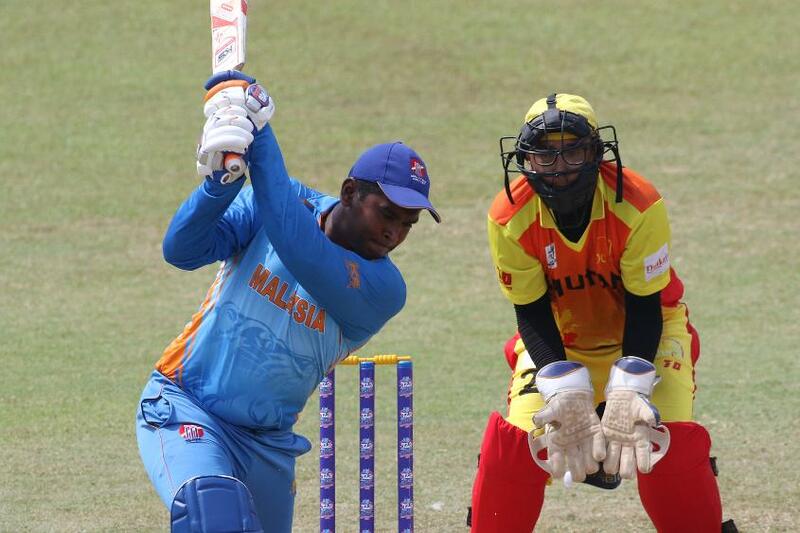 But Suhan Alagaratnam (35) and Syahadat Ramli (28) rescued Malaysia with 57-run partnership for the fourth wicket before Anwar Arudin (24) and Sharvin Muniandy, with an unbeaten 31, ensured Malaysia posted a competitive total. 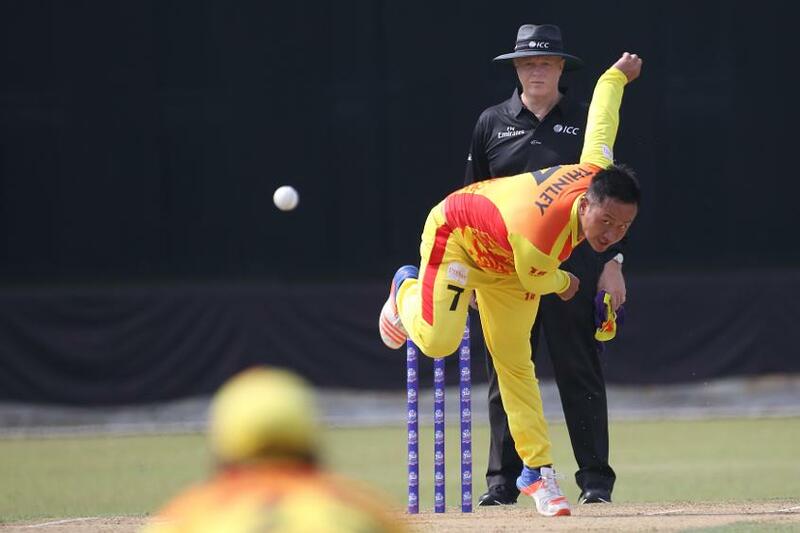 Bhutan finished on 87-9 from 20 overs as captain Jigme Singye led his side with 21 but found little support before becoming the second of Malaysian bowler Anwar Rahman's four victims. Tandin Wangchuk scored 15 runs in attempt to revive Bhutan before losing his wicket to Anwar Rahman, who finished with 4/8 to be named Player of the Match. Malaysia team manager Mohammed Iqbal Ali was glad his side responded well to the early shock of Gurung's hat-trick. "We had a scare for a while with losing those three wickets so early and were in panic mode for a while. But thankfully Suhan responded with a responsible knock while Anwar Arudin, Syahadat and Sharvin also had a good game," said Iqbal. "Our bowler Anwar Rahman also did very well to take four wickets and in the end it was a good win for us." 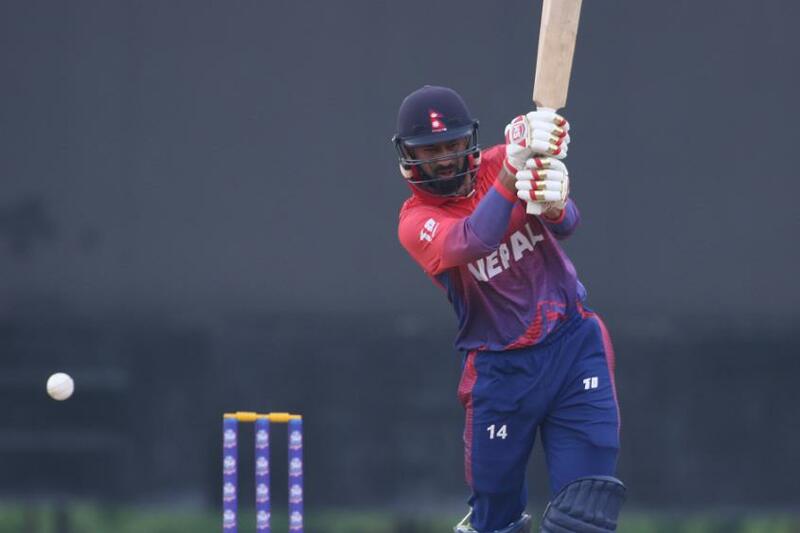 In the later match, Nepal too lost an early wicket after Pradeep Airee departed without scoring having faced two balls before Anil Kumar Shah was dismissed leg-before for 11 but Karan KC ensured Nepal reached 30/2 off three overs without fuss with an unbeaten 14. Myanmar folded for 29 runs in 10 overs but only after Htet Lin Aung's resistance was ended by Sandeep Lamichhane after the Myanmar captain scored 16 off 20 balls. Htet Ling Aung's exit saw Myanmar lose their six remaining wickets for the addition of four runs as Player of the Match Lamichhane claimed 4/3 while Lalit Narayan Rajbanshi took 3/3. 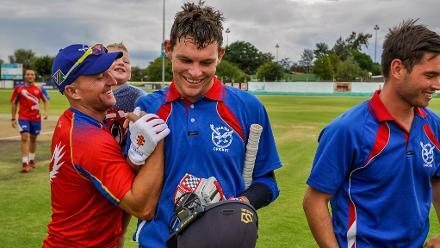 Thailand needed just 16 balls to romp to a 10-wicket win over China in Bangi where Daniel Jacobs took three wickets before scoring an unbeaten 18 to the claim the Player of the Match honour. China held out for 23 balls before the first batsman was dismissed with seven runs on the board, followed by the inevitable procession of wickets. But China still completed 20 overs after reaching 34/9 as Wang Yan top scored with eight runs off 11 balls. Jacobs bowled four overs to account for three of China's first four wickets to fall before combining with Md Shafiqul Haque (13) to steer Thailand to 36 for no loss. "It was an excellent start. 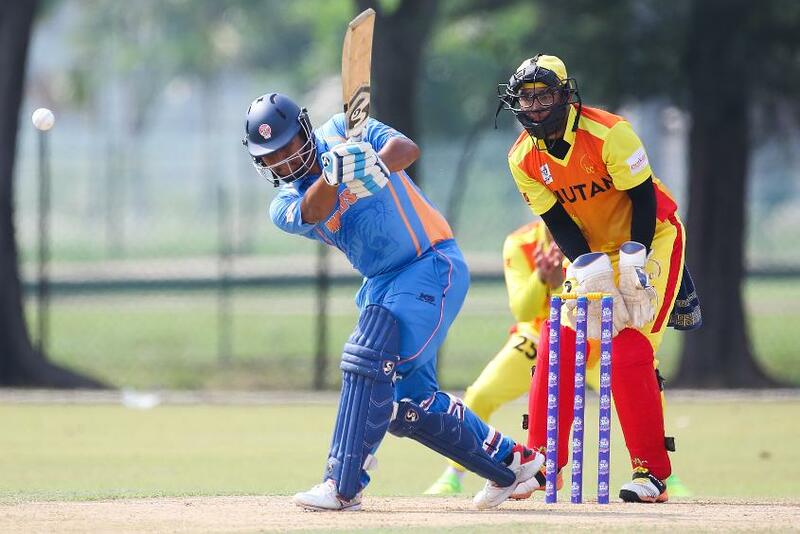 It was our first game and the boys turned up really well," said Thailand captain Vichanath Singh. "Everyone was 100 per cent ready to start the tournament on a positive note. Everyone is pumped up and ready to fight against the bigger teams. "We would have batted first had we won the toss for some game practice but China won the toss and chose to bat. The plan then was to restrict them to as low as possible and get the game done as early as possible." Thailand take on Malaysia on 4 October in Bangi with Vichanath looking towards the game to measure his side's progress since they last met at the 2017 Kuala Lumpur Sea Games. "The boys are looking forward to it. We played Malaysia at the Sea Games last year, they are a really good side and we are looking to give our best and compete hard," said Vichanath. While Malaysia and Thailand battle it out in Bangi, Bhutan and China go head to head at Bayuemas in search of a first win before Singapore open their campaign against Myanmar later in the day at the same ground.